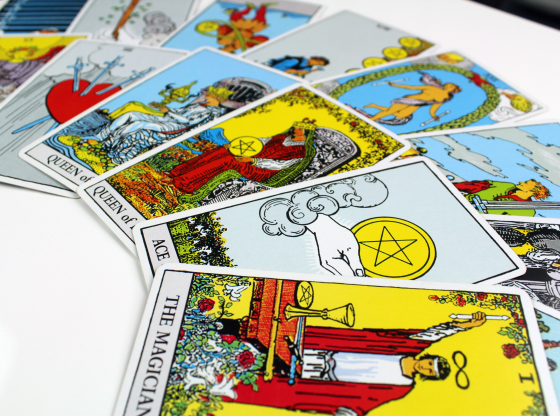 If you sit patiently for your Tarot reading and see some cards with the number seven appear, chances are they indicate that you will be patiently sitting and waiting for something else. The number seven is an indicator of both the thing we most want and the unexpected delivery. Is a surprise arrival a bigger deal than the thing for which we have longed? Sevens indicate the wait for something we imagine. This number also represents a coming delivery of what we were waiting for — even if it is not quite what we thought it was. After the harmony of the number Six, Sevens awaken desire within us. We all understand that there is a higher purpose to existence. Sevens dangle this in front of you, tempting you to pursue a goal, to follow your dream. Sevens know that in the process of doing so, you could become all that you can be and might even change your mind about what it is you should be pursuing. 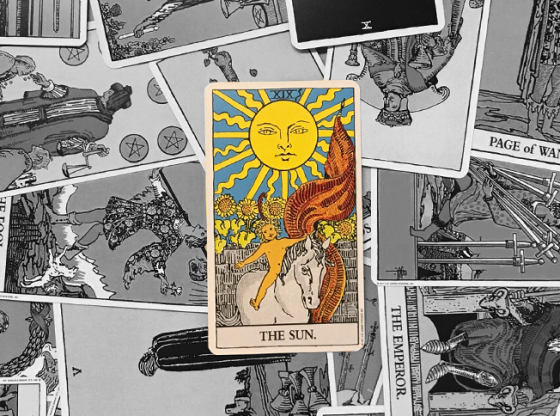 Read below to see how each card with a seven attached to it gets you closer to what you want or to what you don’t realize you want. 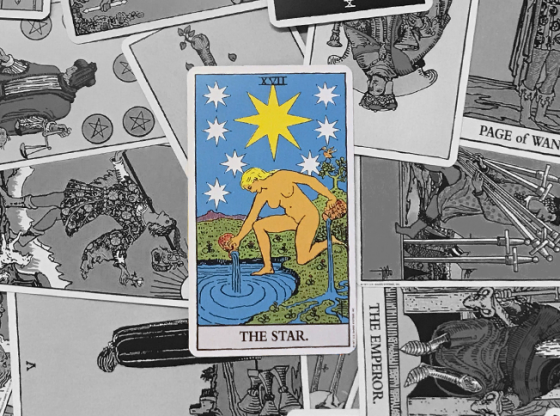 This is the Tarot card numbered seven and the base of this number’s meaning throughout the deck. The Chariot stands at rest and yet it exists to move. It is ridden in battle but longs to parade in victory. 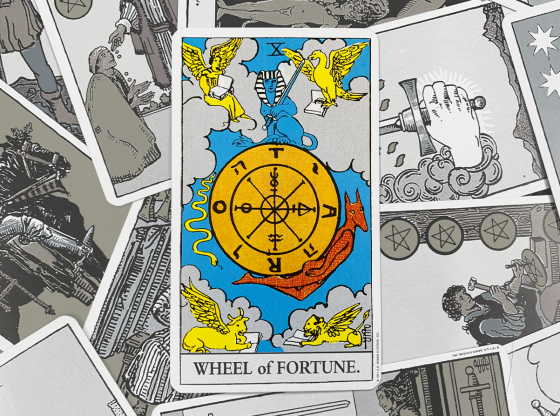 The card features two sphinxes — the ancient animal that indicated riddles. The riddle of what you want actually hides a more complex puzzle: why do you want it? 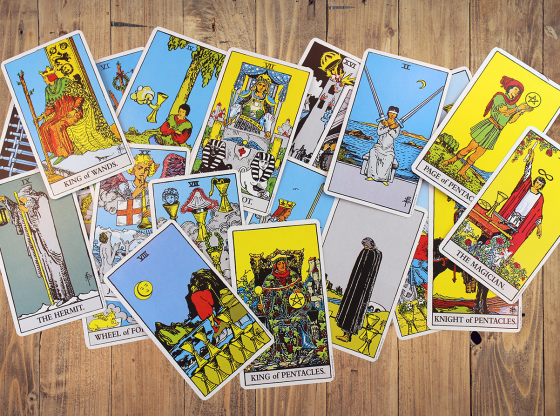 The Chariot appearing in your Tarot reading is a predictor of victory. And yet, it does make you wonder exactly why you want to win so badly. 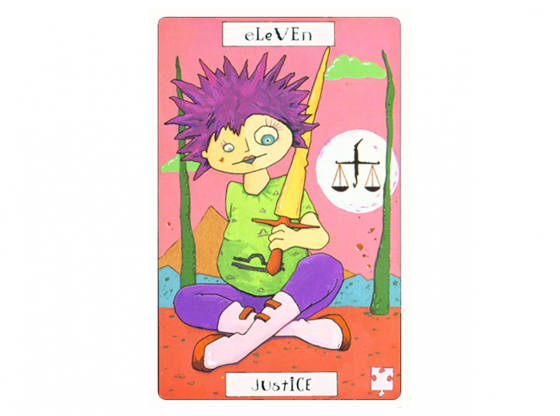 This card is numbered seventeen and carries the Tarot’s number seven as an echo. This is a card of inspiration that comes from waiting. The illustration on this card is much less mysterious when you consider that the woman pictured on it may have finally put all meaning in her life together in order to reach a goal. Her pouring out two pitchers of water is a sphinx-like riddle unless it is an abandoning of what she thought she wanted, and an acceptance of the inspiration given by the star above. AWhen you seek a goal, opposition can be fierce. 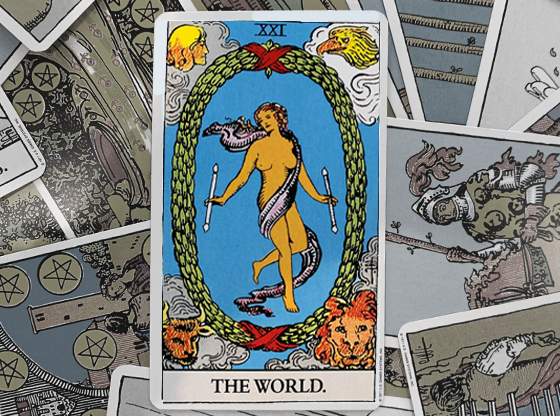 Wands represent creativity and are therefore not weapons that end battles with a death, but prolong one’s own self-protection by fending off blows. 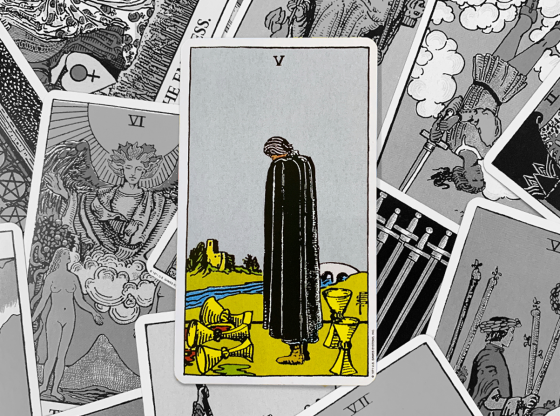 Your creative solutions get you closer toward a goal, but this card reminds you that there may be unforeseen hurdles. Just as some people change their idea of what they want as they pursue a dream, so to may the hassles of getting things your way alter your initial agenda. Losing yourself in your desire to have something is illustrated here with many tempting things that set us all out on chases. They may be endless quests and they might be fool’s errands. The thing you wish for may not be what you realize it is. 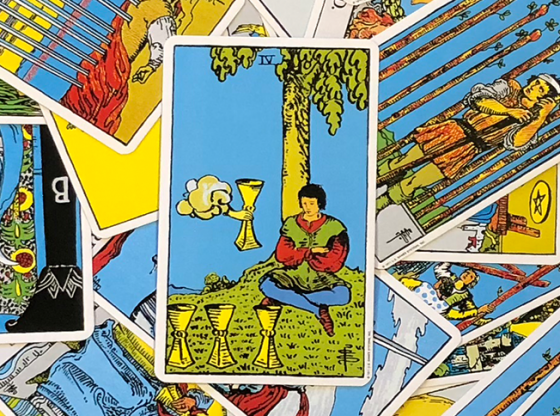 Cups represent emotions and when you wait for a miracle, the perch from which you dream could be a better place to exist than where you will be when you get what you want. Because you might find out, too late, that you only thought you wanted it. There will be times to seize the initiative and carry out your mission to make that miracle happen. 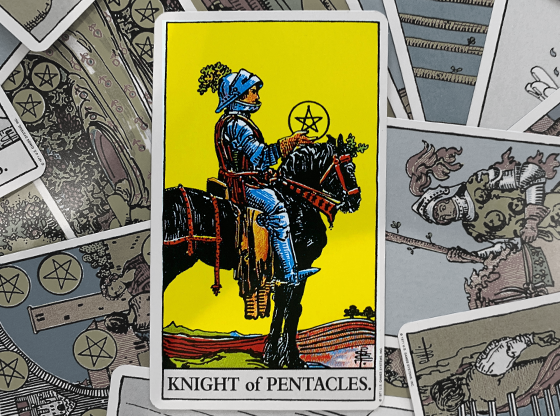 Dreams deferred may be dreams denied, but the Seven of Swords card illustrates that we might not only be taking the property of others when we lunge too fast for what we crave, but also that we will leave behind the full potential of the miracle that should by all rights be ours. This is the card that emphasizes how one properly waits for a miracle to happen. 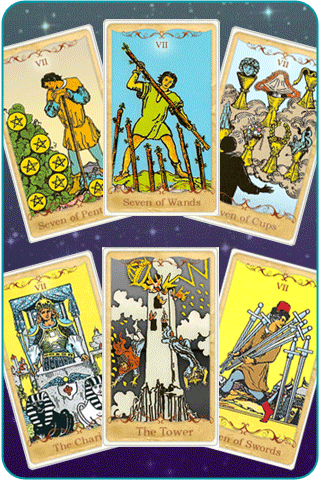 This is the card with the most blessings to send your way of any of these four suited cards numbered seven. If you properly monitor a situation without overworking it, without grabbing for things too early and without expecting a miracle to be more than it is, you will be rewarded with the fruits of your labor, your patience and your life’s purpose revealed.